Obituary – Waltermire, Elmer Peyton « Perry High School Alumni Association, Inc.
﻿﻿Services will be at 2 p.m. Friday in the First Presbyterian church for Elmer P. Waltermire, 57, prominent Noble county farmer-stockman, who died Wednesday in Perry Memorial hospital following an apparent heart attack at his home, south of Perry. Rev. J. R. Struthers, minister of the First Presbyterian church of Stillwater, will officiate at last rites. Burial will be in Grace Hill cemetery under direction of Newton funeral home. 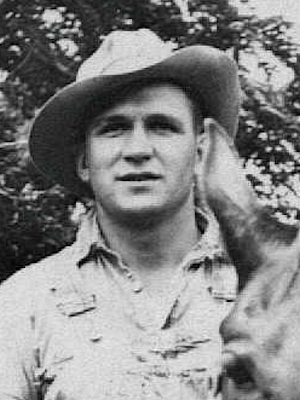 Waltermire was born June 3, 1907, in Noble county. He was married July 3, 1940, to the former Sally Kirk, who survives. 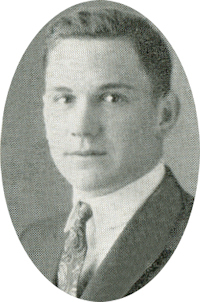 He graduated from Perry high school in 1926 and later attended Oklahoma State university. He was a member of the Presbyterian church. In addition to his wife of the home, survivors include a daughter, Linda, of the home; two sons, Fred, Norman; and Jim, Oklahoma City; three brothers, Fred and Bob, both of Houston, Texas; and Jake, Lafayette, La. ; and a sister, Mrs. Elta Fry, Guthrie. His parents, two sisters and a brother preceded him in death.